On Monday 1st October, Arab News published a front-page story on breast cancer, stating that women in the Middle East remain reluctant to take the screening test that could save their lives. According to the regional advisor for non-communicable diseases at the WHO: “Breast cancer is the most prominent cancer in the region and it will progress in the coming years.” However, only 10% of women targeted for screening actually attend an appointment for a routine mammogram. This is of concern since there has been an increased incidence of breast cancer in younger women in Saudi Arabia, despite the screening service being free. CapeRay’s CEO, Kit Vaughan, has spent the past week on an outward selling mission (OSM) to the Middle East, sponsored by South Africa’s Department of Trade & Industry. Ten companies formed part of the OSM delegation, of which two others are focused on medical devices: Lodox Systems, represented by Mbuyazwe Magagula, and Respitek, represented by Anton Coetzee. Based on the Arab News article, this was certainly an opportune time to launch CapeRay’s dual-modality Aceso, a system that has been designed for the early detection of cancer in younger women with dense breast tissue. 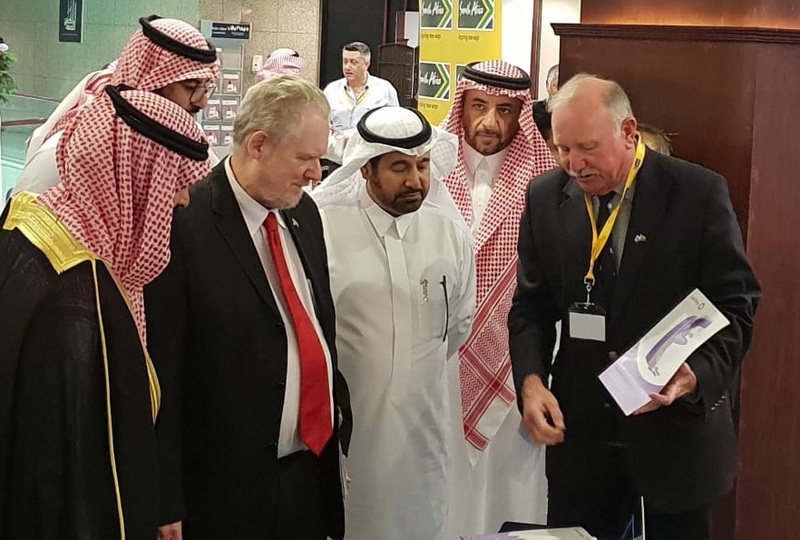 The delegation’s first stop was in the Kingdom of Saudi Arabia where their trip coincided with the official visit between Dr Rob Davies, South Africa’s minister of trade and industry, and the chair of the Riyadh Chamber of Commerce. In his keynote speech, Davies highlighted the strong ties between the two countries and the Kingdom’s recent pledge to invest $10 billion in South African industry. He also took time to speak to each of the OSM delegates, encouraging them to embrace the business opportunities in Saudi Arabia (see photo above right, where Davies speaks to Vaughan). The next stop was the United Arab Emirates (UAE) where the delegates learned about the market environment in Dubai and Abu Dhabi. 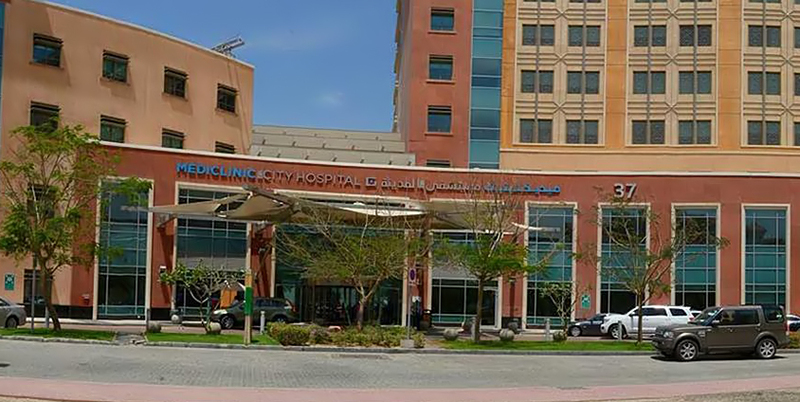 There were two highlights for the medical device companies: a keynote address by David Hadley, CEO of Mediclinic, a South African company that has established the largest private hospital group in UAE; and a visit to their hospital in Dubai’s healthcare city (see image above left) which includes a world class comprehensive cancer centre. Arab News concludes: “If you detect a woman at stage one you can save her life. If you diagnose someone at stage three or four, it is not only costly in terms of treatment but you may not save that person at all.” CapeRay now has a vital opportunity to save the lives of women in the Middle East. If you detect a woman at stage one you can save her life. If you diagnose someone at stage three or four, it is not only costly in terms of treatment but you may not save that person at all.” CapeRay now has a vital opportunity to save the lives of women in the Middle East … and in the world, thanks to its D 2 AB US MACHINE! Well done, CapeRay! It seems to be very important to find out why the UAE women are so reluctant to come forward to help themselves. Maybe it is merely a social issue?